Google, it’s a mystery – right? And big thanks to Christoper57r for the lovely review. Kate Toon: Google is a mystery, right? What the hell do they want for us? What fiery hoops must we force our websites to jump through until they meet the never-ending list of demands, and why do they keep changing things? You just get your head around the search engine results pages and suddenly they look completely different. But rather than pull your hair out and mutter swear words under your breath, I have the solution for you. 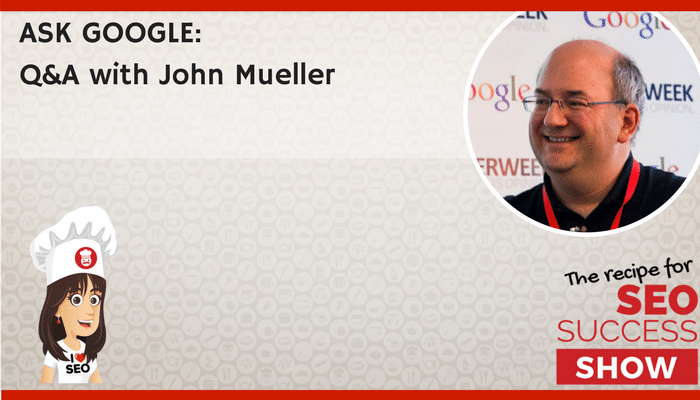 We can actually ask Google what they’re up to, and that’s why I’m super, super delighted to have John Mueller back on the show today for a Google Q&A. 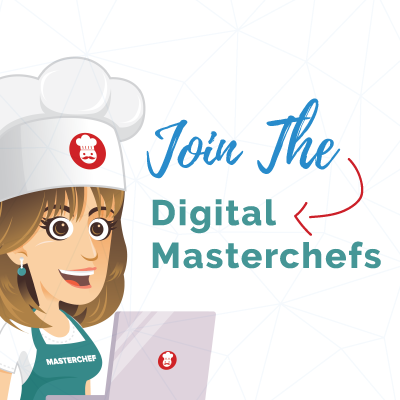 Hello, my name’s Kate Toon and I’m the head chef here at The Recipe for SEO Success, an online teaching hub for all things related to search engine optimization, and I love SEO sometimes. We’re going to talk about that today. Hello, John, welcome back to the show. John Mueller: Hi Kate. Great to be back. Kate Toon: Lovely to have you here. Now I will just explain to everybody who hasn’t heard previous episodes what John does. He is the web trends analyst at Google in Switzerland, and I’m going to abbreviate, but basically he’s kind of like a line of communication between people who are creating websites and need information about how Google works, and also Google when Google wants to disseminate information to people and help them understand what they’re looking for. Now I wanted to start off by saying a thank you. This could be a little bit awkward, but you gave my podcast a shout out on Twitter a little while ago and it meant an awful lot to me, and also made a lot more people tune in, so thank you very much for that. John Mueller: Well thank you for your podcast. I really love it, and I don’t know, I just love recommending it to other people as well because it really touches all of the right questions and hits the right level. Lots of fun. Kate Toon: Oh, thank you. For those of you who are new to the pod, that’s what this podcast is all about. There are obviously lots of other great SEO podcasts, but we really do try on this podcast to break it down so real humans could understand it. Not necessarily SEO consultants and experts. We do cover some advanced subjects, but we also go over the basics because honestly, and I know you agree with this John, often it’s the basics that most websites haven’t got right. It’s not the advanced super technical advanced tactics. It’s really basic stuff. Do you find the same? John Mueller: Yeah, definitely. I see that all the time, and especially when looking at the more kind of complex areas, I often find that people are afraid to ask questions around the basics so it’s really good to make sure that these are covered in detail. Kate Toon: That’s it. I think the thing is, I think people don’t want to look stupid so they don’t want to go into SEO forums and be the person that doesn’t understand title tags, but also I’ve found having taught people for the last three years, sometimes you need to hear the same thing many different times from different angles until it finally clicks and you go, “Ohhh.” You have that aha moment. Yes, hopefully if you’re listening to this podcast you agree. We do go over the basics and we get into some advanced stuff too, so something for everybody. Well anyway, let’s get started. 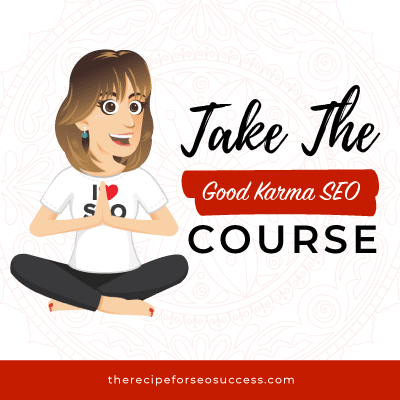 What I’ve done with this episode is I’ve sourced questions from members of The Recipe for SEO Success course, my I Love SEO group, but also some other SEO groups around Facebook and on Twitter, so we’ve got a nice mix of questions of all different levels. I hope you’re ready. I hope you’ve had your coffee, John. John Mueller: Yes. I’m ready. 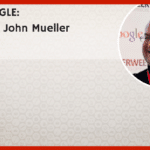 John Mueller: Yeah, I think it’s really hard and really depends on the website itself. 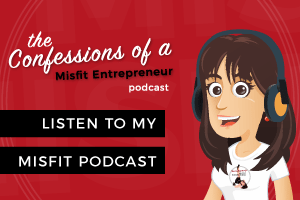 One of the things that I’ve seen a lot with especially smaller business websites is that they tend not to have a brand that is easily findable, and I think that’s something this website does really well. It’s kind of a unique name, like Love Luggage Sydney. That’s something you can remember, it’s something you can search for. People can go there if they remember the name. That I think is a great first step. Other things that I would focus on in a case like this where you have content that is kind of visual, is to think about image search as well. To make sure that all of your content is available in a way that image search can actually find the, because I’ve found that for some kind of content, people tend to go to image search to search for what they’re looking for in a more visual way. For luggage for example, I imagine it’s not the case that someone says, “Oh, I need luggage that weighs exactly, I don’t know, 2.7 kilogrammes and is grey,” but rather they have some ideas what they’re looking for and they’ll go to image search and kind of refine what it is they’re looking for and go there to try to figure out where they can actually buy this. That’s one thing I would look at with a website like this. Not generic to all eCommerce sites, but especially if you’re selling luggage or something that I guess is more of a visual thing. The other thing that I would also look into is structured data, which is something that a lot of CMSs and eCommerce platforms make it really easy to add. Things like reviews structured data or just general structured data about the products that you’re selling. I would double check to see if there are any plugins that you can use or any settings that you can activate to make it easier to start using structured data there. Kate Toon: Yes, and I will admit that I bought a suitcase from Gaz. He’s one of my students, and I do get sucked in and I did buy it because it was pretty and red and matched my branding. I know that Gaz I think is on a Shopify platform, so he’s kind of a little bit restricted with what the platform can do around structured data. If you’re listening and you have an eCommerce site using WooCommerce, that’s a great little plugin. It’s a paid plugin unfortunately, but it does pull through some great structured data around reviews, pricing, availability and other bits and bobs and those pull through to the search engine results pages can really help you get that click through to your results, so really good advice there for eComm stores. It’s funny, because I just saw that you made a video about this on your new series of videos on the Google YouTube channel. Her issue is that she has a Squarespace theme and what it tends to do is wrap the H1 around the logo, which is a bit weird. Usually a H1 tag would be wrapped around the big headline on your homepage, but that’s an issue that she can’t solve because it’s actually part of the theme’s makeup. Is it a big deal to just have that one H1 or to have one at all? John Mueller: For the most part I don’t think it’s critical to have the H1 tag exactly the visible heading on a page. We’ve seen some sites have multiple H1 tags. If you’re using HTML5, that’s almost standard. Some sites don’t use H1 tags at all. I wouldn’t worry too much about that. I would focus more on the actual visual content on the page to make sure that you have a clean structure, that you’re providing everything in the language of your customers in a way that your audience would tend to search for the content. I wouldn’t focus too much on the technical details, but more on the actual content. Kate Toon: I think that’s so true, and often we find people get hung up on small issues like, “I haven’t got an H1 tag.” Then you look at the site and realise that it takes 17 seconds to load and you’re like, “Maybe you should focus on something a little bit different,” or that the copy on the homepage makes no sense. It’s all about priorities. If you can have one perfectly crafted H1 tag, hooray, but it’s not going to be the end of the world if you don’t. John Mueller: We do try to figure out if the pages are really the same when it comes to kind of processing the canonical link. For the most part I think we do get that right. Usually with the real canonical you would be telling us that this one page is exactly the same as the other page, and we can just index either one of these and get exactly the same content. If that’s the case then that’s fine for us, we’ll just pick one of these URLs to keep and kind of index the content of that URL instead of each of these separately. If the pages are similar and not really identical, then it gets a little bit tricky in the sense that if you tell us these pages are the same we’ll probably trust you, and what will happen is we’ll pick one of these pages as the one for indexing and if there’s anything unique on the other version as well, then we’ll lose that because we trusted your comment telling us well these are the same pages, we can just pick one of these and use that one. If they’re similar but there’s actually something really unique on one of them that’s not on the other one, then that’s the situation where we might lose that unique bit of content that you’re telling us is actually the same as something else. That’s kind of what I would watch out for. Kate Toon: Okay, that’s good to know. For those of you who don’t know what canonicalization is, we won’t go into it on this podcast. Give it a little Google. It’s all about letting Google know which of the pages is more important if you have lots of pages that are similar, but we won’t dig too much into that right now. We’ll move on the next question. This one is from Andy IQ SEO. I’m guessing that’s not really his surname, but he says, “I’ve noticed some of my clients have pages that have been 301ed.” Just to explain, 301 is a redirect that tells Google, “Hey Google, don’t look at this page anymore. It’s gone. It’s moved over here.” It’s called a permanent redirect. He says, “I’ve noticed some of my clients’ pages have been 301ed in the past, and appear to be holding onto the page history sometimes for many months to the point where it’s quicker to kill off the page, give it a fresh URL and integrate it back into the site with the same content and meta, et cetera. Would a page that has a 301 in place for say three years ever be expected to recover positions in Google if you remove the 301 and put it live back again on the URL again? Kate Toon: A question here. Lots of people spend a lot of time setting up 301 redirects for pages that really maybe aren’t particularly important or don’t have links pointing at them, but they’ve spent that time. How long do they need to keep those 301 redirects in place? How long does it take Google to go, “Yep, we’ve got it. You can delete that 301 redirect. We’ve remembered it, we’ve stopped indexing the old page, and now we’re looking at the new one.” Or do we need to leave them there forever? John Mueller: Well a 301 redirect from the name is essentially permanent redirect, so theoretically you should keep it there forever. Practically, I would aim for keeping it at least a year, maybe two years, something like that as a minimum. If you still see people going to that old URL, so you can check your server log files to see if that is happening, then maybe keep it longer or figure out why they’re going to the old URL. Maybe there’s a link to the old page somewhere that you forgot, either within your website or on someone else’s website. In a case like that, fixing the link might be an option. If you see that nobody ever goes to the old URL anymore, then you might as well remove that redirect if that’s in the way. A lot of times redirects don’t cause any problems. You can keep as many as you want for as long as you want. If it doesn’t cause any problems, I would just keep it like that. 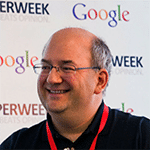 John Mueller: Except theoretically we should be shifting most of the data over to HTTPS. Sometimes we still show an old version of a page, especially when you’re looking at a whole website since we crawl pages individually. We don’t recrawl the whole website at one time. We do that step by step. It can happen that most of the pages have moved to HTTPS, and just the handful of pages are still on HTTP, which might be where the static comes from. That’s something where I would say this is more of a normal situation and if you set everything up properly, it’ll take care of itself over time. Kate Toon: Yeah, I think that’s why people recommend that if you are setting up and verifying properties in Google Search Console just leave the HTTP one there for awhile just in case. 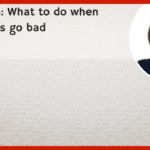 It’s kind of best practise, because you never know, something could pop up there that might be interesting later down the track or be a problem that you have to solve because something hasn’t redirected properly. The dog is back. The howling dog is back, ready for Sam Melison question. Sam asked, “Can you tell me definitively that investing in Google AdWords has no impact on organic ranking?” This is a bit of a myth. A lot of AdWords doubters say, “Well you know, if you invest this much money in AdWords every month it’s going to improve your organic ranking as well.” What’s the answer, John? John Mueller: As well, so it’s like both of these scenarios are definitely not the case. 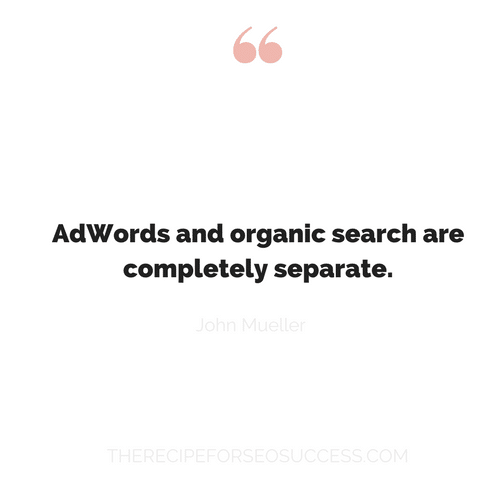 AdWords and organic search are completely separate. So much so that even internally when someone comes to us from the sales team and says, “Oh, I have this really important customer and they have this critical problem in Search. Can you help us?” That’s something where we have to say, “Well, you have to go to the help forums, you have to send them to the public channels. We can’t give you any preferential treatment just because they’re an Ads customer.” Even kind of the manual effect afterwards, that’s something that we work really hard to separate that out. Obviously promoting your website in any ways to reach your audience can be a good thing, can bring more visibility to your website and then maybe indirectly if people like your website they’ll recommend it to other people as well, but that’s something that you can do in lots of different ways. Some people do radio advertising, which doesn’t have any links at all. Some people do it with Ads. It’s kind of up to you. Kate Toon: Okay, that’s good to know. I kind of like to think of you in separate buildings and not talking to each other, like there’s an AdWords team and an organic team and you’re never allowed to talk to each other. Is that what it’s like? John Mueller: We do talk to each other. It’s not that we have separate buildings and we’re locked down. Sometimes we go to common events, so recently we had an event here in Zurich for nonprofits and that was organised by the Ads team and we did a session on Search. Those are the kind of things where I think it makes sense to work together, when we’re reaching kind of an audience through a public channel, because obviously if you’re online then you have various ways that you can succeed when you’re online, and some of that might be organic search, some of that might be through Ads, some of that might be through video or whatever you use to kind of reach your audience. Kate Toon: Yeah, that makes sense. I was just being silly. I just like the image of you all kind of hating each other. Anyway, this leads me very nicely to my next question, which is about Google AdWords certification. Again, another misunderstanding I think definitely here in Australia is that lots of AdWords people will say that they’re a Google partner, and it’s a much misunderstood term in small business with many thinking this means they are like an agency that has a special relationship with Google and that they are partners with them. Couldn’t you have thought of a better name? 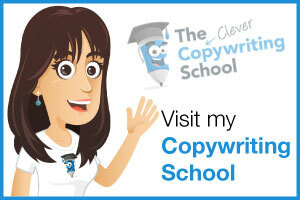 Like AdWords certified? Google partner does seem to sort of imply that there is a partnership there, but all it really means is they’ve completed your AdWords certification, right? John Mueller: As far as I know that’s the case, yeah. I don’t know what else might be involved with kind of this Google partners setup, but it’s definitely not the case that you have any kind of preferential SEO treatment or SEO knowledge that anyone else might not be able to gain. John Mueller: Yeah, we hear this every now and then. You’re not alone with this question. I think it’s really tricky in the sense that on the one hand if you’re completely new to this area, then you might want to have some kind of certification information available to understand who are the people who really know what they’re talking about and who are the people who don’t know so much about what they’re talking about, but SEO includes so many different things. 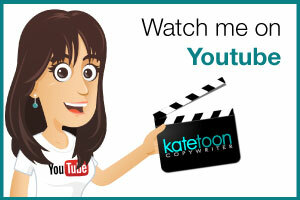 It includes things like writing content, doing marketing, doing promotion. There’s a lot of technical details as well, and these are things that are really hard to kind of track and certify in a general certification. 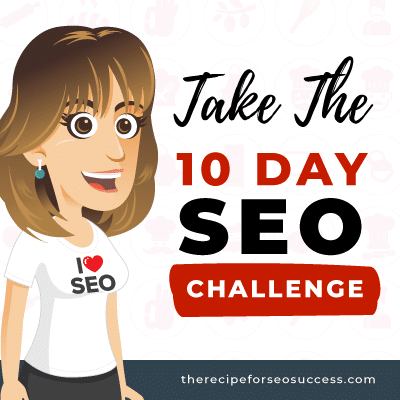 Individually it’s really hard for me as well when someone comes to me and says, “Who should I use as an SEO?” Because on the one hand I don’t know a lot of local SEOs actually. On the other hand it’s really something where you kind of have to figure out what it is that they’re looking for and who might be suitable for what specifically they’re looking for. 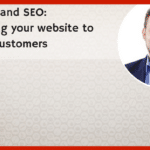 We have a Help article that goes through a lot of the questions that you can ask an SEO. I would definitely look at that, and use that as a way to kind of feel your way around and see where you have SEOs that talk in your language, that understand your market and that can help to kind of get you forward in the right way, rather than just trying to fit you into a fixed schema that they have in their head that doesn’t actually match your business. Kate Toon: Yeah, great advice. I’ve included a link to that article, and just a little plug, if you’re listening and you haven’t done the free SEO Nibbles Course, there’s a good checklist that I give away in there with just some questions to ask a prospective SEO company, but just as with anything, graphic designers, copywriters, any service provider, it’s all about getting testimonials and making sure that they click and doing your due diligence. Same goes for SEO folk as well. Next question. Sam Edwards. “They say that if you can’t be found on Google you can’t be found on the web. Do you ever think that Google has too much power?” I love this question. It’s quite cheeky, isn’t it? John Mueller: Yeah. Too much power? I don’t know. I almost think it’s kind of the other way around in that there’s so many different ways to reach content on the web. It’s almost a matter of us trying to keep up with what’s happening on the web so that we don’t become too obsolete in the sense that anyone can enter a URL and they can go to a website. A lot of things aren’t even on traditional website anymore. People go to social media. 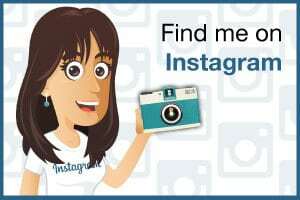 I’ve seen in some countries people tend to put all of their content on Instagram, for example, and that’s how they reach their audience. For us, of course if you’re already on Instagram and you’re just searching on Instagram there’s no need to go to Google, so it’s always a challenge for us to kind of stay relevant and to provide services that make sense for people. That’s something that I kind of love about the web in that it just finds ways to kind of spread on its own and to make content that’s really good available to people wherever they tend to be. John Mueller: Some of the biggest mistakes. No, it’s hard to say. I think not making podcasts easy or findable is one of them. Kate Toon: That’s so one of them. I agree with that one. John Mueller: I know there is a small team here in Zurich that has been working on making it easier to find podcasts. Sometimes that’s kind of tricky because the content is available in audio form and not in textual form, and then how do we understand what people are writing or what people are saying, actually? That’s kind of one. I think in general Google is quite large and things come and go fairly quickly. One of the things that, I don’t know if you would call it a mistake, or it at least kind of bugs me from time to time, is that we come out with new ideas fairly quickly, but also we take them down from time to time because we have to clean up as well. But if that’s something that you really love and you’ve been using for a really long time, then you’re kind of frustrated, like Google’s turning this off, and how dare they turn this off. I think the Google URL shortener is something that we recently said will be switching over to a different system. That’s like one of those things like, “Oh, how dare Google do this? This is a giant mistake.” At some point you have to focus your energy and make these kind of hard calls too. Kate Toon: Yeah, that’s true. I remember one of my favourites was for a brief period you could have a little picture of yourself next to the search results on the left hand side all to do with Google+ and Google [inaudible 00:25:47], and that was lovely. I loved that, and then that went away. I was very upset about that for about a week. Then you move on, because there’s bigger things to think about. John Mueller: I think that’s really hard to say. I think it’s not so much a matter of where I see Google in 10 years’ time, but where maybe the internet is headed in 10 years’ time because there’s just so many things that are changing, from voice search that we’ve touched upon briefly with the mobile-first indexing episode, to all of the changes that are on mobile, to the changes around ways that people kind of digest content, which could be something as crazy as, I don’t know, Snapchat, where content is only available for a really short period of time. All of these things are changing all the time. 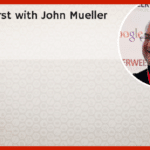 John Mueller: 10 years on the one hand feels kind of short for bigger changes, but things change really quickly sometimes, so I expect to see a lot of things changing and for Google, the challenge will be to kind of keep up and to make sure that things that we come out with that might be changing things as well kind of align with what actually makes sense for people, they align with ways to actually bring more information to users at the right time so that they can make the right decisions. These are changes that, I don’t know, I find them exciting. It’s something where in my time at Google I’ve been seeing things come and go fairly quickly and it’s exciting to see so many kind of passionate people working on challenging technical problems and trying to find ways to make the world a better place overall. Kate Toon: Yeah, I find this interesting. I think the message that’s come out very clearly to me on this podcast is that we all feel that we’re trying to keep up with Google and its changes, but the truth is as well that Google’s trying to keep up with us, and I think that’s a really interesting perspective that I’d never really thought about before, so thank you John so much for coming on the show and having all these odd and wonderful questions flung at you and being so candid about it all. I really appreciate your time. John Mueller: Thank you for having me, Kate. Kate Toon: Thank you so much. And thank you to you for listening. That’s the end of this week’s show. 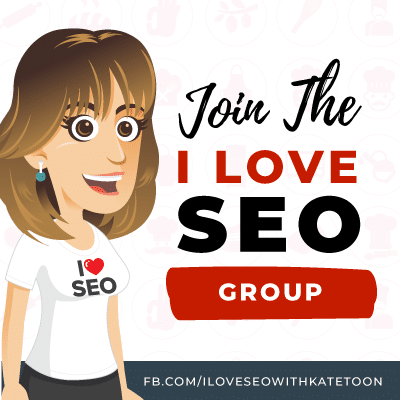 If you have more questions for Google, head to the I Love SEO group on Facebook and let me know, and maybe we can lure John back again. I like to end the show with a shout out to one of my lovely listeners, and this week it’s Christopher57, and he says, “It’s great to listen to a podcast about something technical and not feel completely lost. 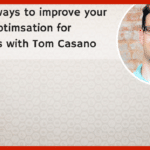 Thanks Kate, you make it so much simpler to understand SEO.” Thank you Christopher for your lovely review, and if you’d like to leave one, just head to iTunes or Stitcher or wherever you heard this pod, and leave a five-star rating. That would be nice, and it will help others find the show and then more about the wonderful world of search engine optimization and you’ll get a shout out on the show. 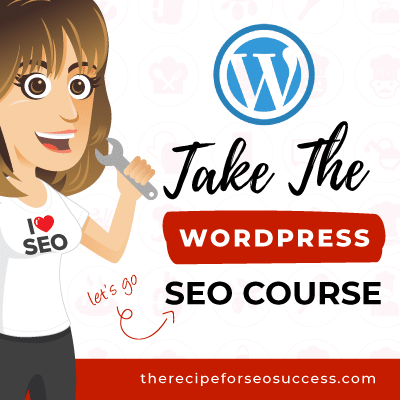 As I said, you could also head to the www.TheRecipeforSEOSuccess.com and you can learn more about John, checkout those notes that he mentioned on how to pick an SEO consultant, what to look out for, and you can also find other useful links from other episodes that might interest you. 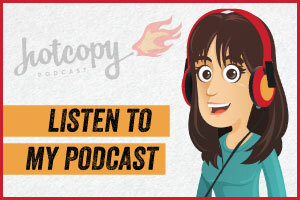 Finally, don’t forget to tune in to my two other podcasts, The Hot Copy Podcast for copywriters, and The Confessions of a Misfit Entrepreneur. Until next time, happy SEOing.